Last year I teamed with Room to Read, Stubbies Schoolwear and schoolkids around Australia and NZ to raise more than $20,000 to build a school library in Siam Reap, Cambodia. 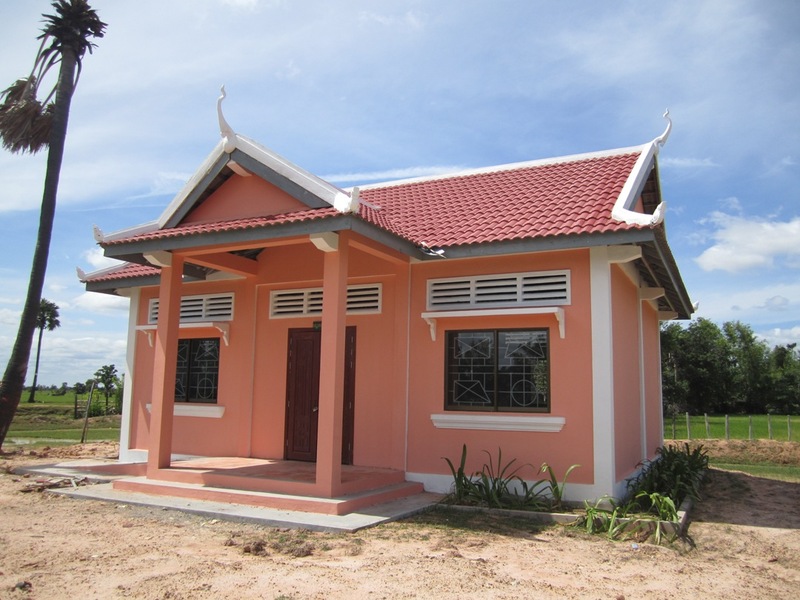 The library built with funds from our World Change Challenge! I’m calling on students, teachers, classes and schools all over Australia & NZ to create some fun, crazy challenges to help us in our mission. Check out the video I shot last year with kids at Ocean Shores school, raising nearly $600 in a single day (and getting to embarrass their teachers at the same time). There are lots more fundraising ideas on Room to Read’s Students Helping Students page so take a look and if you’d like to get involved and help us boost literacy for some of the world’s poorest children email Australia@RoomtoRead.org. World change starts with educated children. 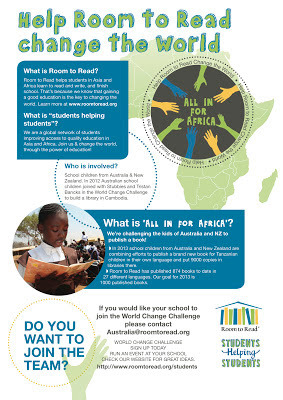 Flyer with more info on ‘All in For Africa’, World Change Challenge 2013.